What Causes a Fear of Sleep? Can You Have Sleep Dread and Not Know It? Overcoming Dread: How Do You Beat the Fear of Sleeping? Many sleep problems are intertwined with many types of anxiety disorders. Some of the most debilitating examples of the latter are phobias, characterized by persistent and consistent fears of certain situations or objects. There is one condition that stands out when it comes to both sleep health and mental health. It’s known as sleep dread, and is also called somniphobia or hypnophobia. Sleep dread is the fear of sleep. It may sound simple, but the phobia can have complicated manifestations. There is no universal cause of sleep dread. We know what it means, but how does it work? When you dread going to sleep, what happens? Judging by the definition, it is safe to assume that the typical result of sleep dread is insomnia—or, at the very least, restless tossing and turning. Note that suffering from insomnia does not necessarily mean that you suffer from sleep dread. Why does this happen? Shouldn’t the body’s sleep regulation processes overcome negative or nagging thoughts after a certain point? It’s not that easy. Even if the body wants to rest, with sleep dread it is also processing fear, which is counterproductive to rest. Enough fear and acute stress can activate the human body’s fight-or-flight response. This results in an increase in hormones that keep you alert and awake: adrenaline, cortisol, and norepinephrine. These are designed to maintain a state of readiness in case you are threatened—basically, the opposite of what you need to drift off into dreamland. You may want to get some rest and overcome sleep dread, but the body responds to hormones better than it responds to feelings. Even if you do eventually fall asleep, chances of your slumber being actually restful and refreshing aren’t good. The causes are varied. Fear of sleep can actually be broken down into specific nuances, which have different triggering factors. There is the fear of falling asleep because of what happens to you when you’re slumbering, the fear of going to sleep and not waking up in the morning, and even the fear of not sleeping enough. Below are some elements the could allow sleep dread to develop. Sometimes, the explanation is straightforward. 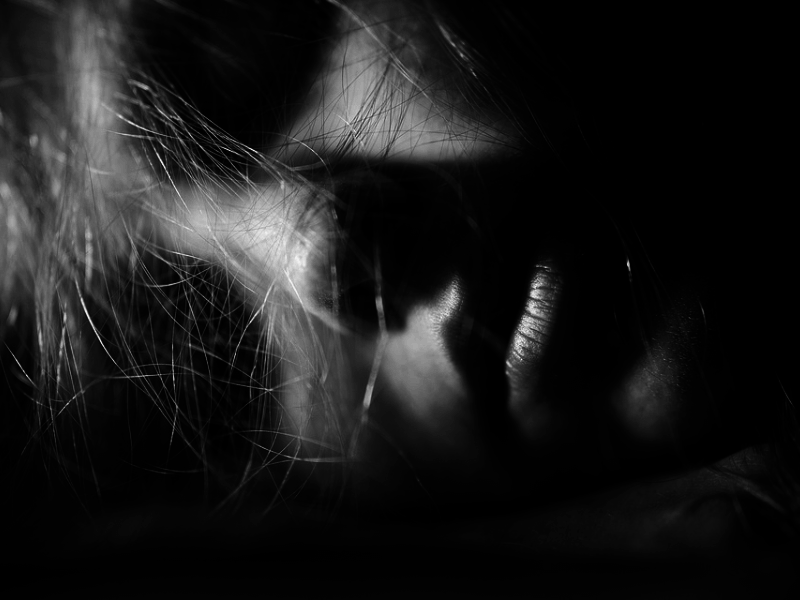 Somniphobia may develop as a result of extreme anxiety connected to what happens during slumber. Let’s go through some of the common ones here. Chronic pain. You might dread sleeping because to you, it is not a chance to rest and relax. It may simply be a reminder that you can’t shut out a specific cause of discomfort. In fact, insomnia often co-occurs with chronic pain. Night terrors and/or nightmares. You might be afraid to sleep because of these, especially if they are chronic or recurring. The former is common in children but can also affect adults. The latter can also be a symptom of grief, loss, or post-traumatic stress disorder (PTSD). Sleep paralysis can also be lumped into this subcategory. Nyctophobia. You might be only afraid to sleep at night. While this satisfies many conditions of sleep dread, you may actually be suffering from a fear of the dark. Sleep apnea. Snoring can be a symptom of deeper health problems. If you’re a heavy snorer, you may be suffering from obstructive sleep apnea (OSA) and may benefit from using an anti-snoring device. How does this tie in with sleep dread? You may fear worsening the physical and emotional toll your snoring takes on your sleeping partner, or you may fear what will happen if your breathing is impaired while you’re unconscious. Somnambulism. You may know this by the more familiar term: sleepwalking. People who sleepwalk and have had negative experiences waking up—in a compromising, dangerous or unfamiliar place or position—may overly stress about the same or worse happening again. Other causes have to do with conditions leading to unpredictable events while asleep. Night terrors, nightmares, sleep apnea and sleepwalking may fall under this blanket category, too. The difference is the shift in focus—from persistent discomfort to possible death. When it manifests as a separate phobia, it’s called thanatophobia. Below are some additional factors that contribute to sleep dread arising from this way of thinking. Loss of control. When you are asleep, you aren’t ready for action and aren’t ready for your survival instincts to kick in—or so you believe. The unthinkable becomes possible, and you may stress over everything from natural events like earthquakes to convoluted scenarios like a home invasion. Whether it’s overthinking due to anxiety or reliving past traumas, it’s all about fearing the worst. Preexisting medical conditions. Do you have a weak heart or weak lungs? You may already be taking proper steps to maintain your physical health, but also still be very scared of dying in your sleep. After all, leading causes of it include cardiac arrest and respiratory failure. Your varied anxieties may be keeping you up, but that’s just one way that this condition causes sleep dread. Surprisingly, sleep dread can also develop as an offshoot of being concerned about not getting proper sleep. As contradictory as that seems, it’s not unusual at all for concern to turn into excessive worrying. Remember when we talked about loss of control just a few paragraphs ago? This particular flavor of anxiety is a the opposite end of the spectrum. There’s a name for it, too: Sleep anxiety. It is type of performance anxiety that’s not based on social fears. Anxiety has a way of disrupting logical thought processes in ways that can seem unbelievable to those not directly suffering from it. When you stress over not having enough rest or having to go through and maintain a regular routine of sleeping, that feeling can overshadow the actual need to sleep. Sleep should be a time of rest and relaxation, but with stress and anxiety mixed in, it can feel like a high pressure job or a performance you simply can’t mess up. Yes! It is strange and curious when someone is suffering from a debilitating condition and is unaware of it. Sleep dread can be subtle and insidious. Below are two common examples of what having sleep dread without being aware of it might look like. Some people may not have any actual anxiety about sleep itself, or any difficulty falling asleep when they choose to do so. However, they may often stretch out their waking hours to an unhealthy degree. Why? Imagine that you dislike going to school or work, and much prefer the time you get to yourself after your responsibilities have been fulfilled. To get more hours of perceived happiness before the day ends, without compromising commitments, you may shave time off sleep. It starts with something small. Just a few more pages of that book you’re reading, another episode of that TV show you’re marathoning, another beer before the last call at the bar where you’re hanging out with friends. What’s a few more moments awake when your have a snooze alarm to wake you up in the morning? It’s minutes at first, then hours; until you’re “powering through” whole days without any real rest. Maybe it’s not even about disliking what you do for most of the day. It could even be the other way around! Maybe you’re a workaholic that doesn’t know when to stop. It could be that you’re burning the candle at both ends because you’re gunning for a promotion. Is maximum productivity really still what it is if it doesn’t include downtime? When people stay awake far longer than they should enough times, it becomes habit. Even if you know it’s wrong, or you think of wrecking your sleep-wake schedule as a temporary fix, you are confirming through your actions that sleep is not important to you. Unknowingly, you may also be teaching yourself to dread sleep. Sleep dread can also develop when someone has insomnia. This may happen more often with the kind of insomnia that is caused by physical rather than mental issues; such as asthma, severe allergies or chronic pain. Remember, we already mentioned chronic pain earlier as both related to insomnia and as a possible cause of somniphobia. When a person has insomnia that originates from something other than anxiety, depression or any other mental condition or trauma, it’s easy to overlook a slowly developing phobia. One of the most obvious signs is arranging one’s daily schedule around insomnia, often in the guise of maintaining coping mechanisms. Spending excessive amounts of time in bed, even when it’s not time to sleep? Avoiding strenuous and tiring activities to the point of foregoing social interactions and regular exercise? Making life-changing decisions such as quitting a job, giving up on a goal or dream, or ending a relationship? When a person makes these sort of allowances due to insomnia, it is safe to assume that they avoid sleep to the point of giving up a normal life. When you avoid something to the point where it impacts your daily routine and causes you to change your lifestyle, it is a phobia—or as good as one. We’re not medical experts or professionals, so take anything we say here with a grain of salt. We love sleep, and are hard pressed to imagine what it would be like to be afraid of it. But part of loving sleep is making sure that we give good sleep advice. This counts! We started this article by stating that sleep dread is a phobia, which in turn is a type of panic or anxiety disorder. Many of the steps you can take to reduce sleep-depriving stress and worry have already been discussed in our previous article on sleep and anxiety. There is this little tidbit of wisdom: Face your fears and you will have a better chance of overcoming them. It may sound trite, but you can’t ignore the truth in it. Whether or not you intend to seek professional help—though if sleep dread is affecting your health and life dramatically, we do strongly urge you to do so—you need to come to terms with reality. If several points in this article feel familiar, you need to admit to yourself that you may have a problem. You may have a phobia, whether or not it fits your preconceived notions of that a phobia is supposed to be like. That is the first step of many that you will have to take. Getting through and over sleep dread is no simple task. It’s going to take time to undo bad habits and familiar routines! But if you alter your way of thinking and your perspective, it’s easier to make positive changes. Let’s say you’ve already set an appointment with a healthcare professional to get diagnosed. That’s already a huge leap! What else can you do? You can start with baby steps that work to improve your sleep health little by little. Below are some articles that may help you. Top 5 Tips for Using Gadgets at Night. Artificial light is one of the biggest culprits of delayed sleep onset! When you feel tired but can’t sleep, it may be the result of too much exposure to the wrong kinds of light. One of the worst is the kind that many device display screens give off, so managing gadget use at night can really help. Valerian & Its Top 4 Pairings for Better Sleep. Teas can be natural remedies for sleep troubles, and they’re often helpful for reducing stress and anxiety, too. Valerian root is one of the most popular sedative herbs, and is usually paired with a milder or more palatable ingredient, like the more familiar Chamomile. You can also check out our sleep aid reviews if you’re the kind that prefers supplement doses over infusions. Practicing Peace of Mind: Meditation for Better Sleep. A phobia is an irrational fear, which means that at the end of the day, it’s all in the mind. Meditation can help you get your thoughts in order, find out more about yourself, and even encourage better sleep. Baby steps can result in bigger and better improvements down the line—and eventually, a consistent good night’s rest. Good luck, and sweet dreams!